The #3/4 Terriers launch the 2016-17 campaign in Hamilton, N.Y., taking on the Colgate Red Raiders in their hosts’ new Class of 1965 Arena. Puck drop is at 6 p.m. ET and the game will be live-streamed, free of charge, on the Patriot League Network. BU is making its first visit to Colgate since 1993. 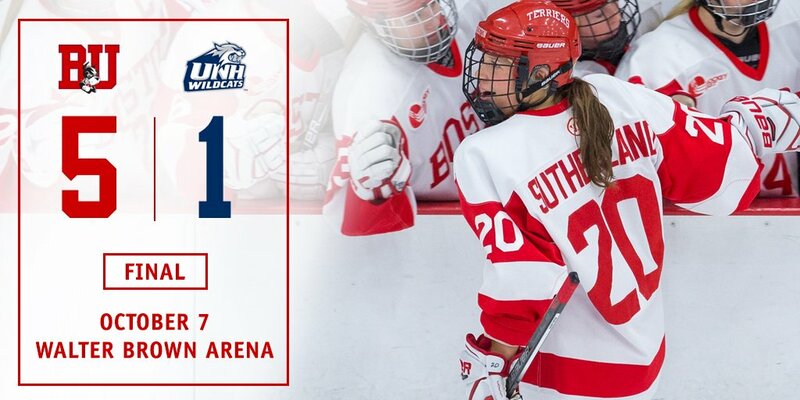 The teams last met in 2014-15 at Agganis Arena with the Terriers taking a 5-2 win, which gave them a 21-10 edge in the all-time series. Colgate, which tied Army last weekend in its season opener, is led by top returning scorer junior Mike Panowyk and senior goalie Charlie Finn. Senior Tim Harrison and junior Evan Peterson each tallied eight goals last season. Terriers displayed the potential for a high-octane offense in two exhibition games, scorching Prince Edward Island, 10-2, and defeating the NTDP U18s, 8-2. Freshman Patrick Harper produced eight of those tallies, while classmate Clayton Keller scored four times. Sophomore Bobo Carpenter and freshman Dante Fabbro each had two goals in the exhibitions. Freshman defenseman Chad Krys recorded three assists in each game, while sophomore blueliner Charlie McAvoy had four helpers. ► The pre-game meeting of captains will bring BU’s Doyle Somerby together with long-time friend and fellow Marblehead native Jake Kulevich, the Red Raiders' captain. The Hockey News’s Ryan Kennedy ranked the top 75 Division 1 players with eight Terriers among the first 48. 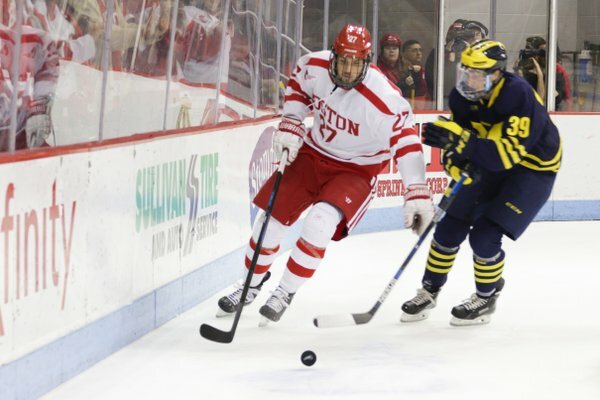 Kennedy had compiled his list prior to BU’s exhibition game with PEI and has now added Harper to the list, making it nine Terriers. The others were: Keller #2, McAvoy #6, Fabbro #11, Kieffer Bellows #12, Krys #24, Jake Oettinger #27, Jacob Forsbacka Karlsson #40 and Jordan Greenway #48. 2017 recruit Ty Amonte scored his fourth goal of the season in Penticton’s 5-1 win against Merritt in BCHL action. 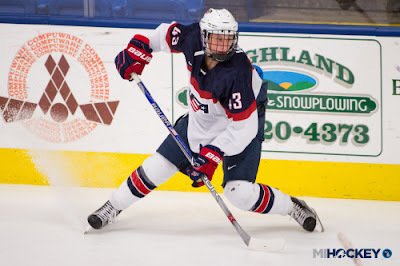 The former Thayer Academy standout leads the Vees in scoring with 13 points in nine games. 2018 recruit Tyler Weiss scored his first goal of the season in the NTDP U17s’ 6-3 loss to Des Moines. The wing from Raleigh, N.C., earned the game’s third star and now has six points, second most on the U17s. Jake Wise also had an assist. 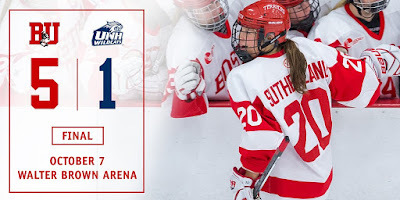 BU travels to Vermont for a 2 p.m.game on Sunday.